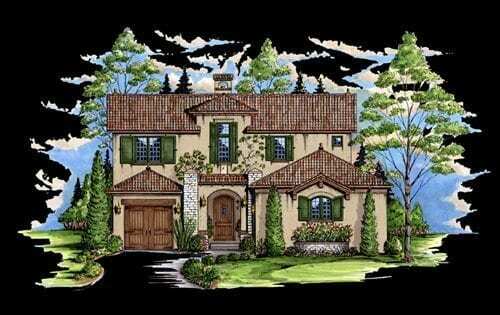 Our Tuscan Villa Collection consists of homes in a wide array of square footages. These villas offer a peek into the Tuscan style as you would find in Europe. With the use of stucco and tile roofing, these designs bring Old World warmth to your doorstep. Archways and timbering add to the overall look of these homes. Our Tuscan Villa Collections are available for purchase at $.50 cents a square foot of conditioned space.